Tommie Bass was a pivotal figure in the changing landscape of American herbalism and an inspiration to a whole generation of younger herbalists. Tommie practiced what he preached, living a life true to his beliefs, creating an archetype whose influence transcended the Appalachian area of north Alabama where he lived. The time-tested techniques and pharmacopoeia of Appalachian folk medicine form a component of traditional Western folk medicine that embodies American self-reliance and creativity, which is still evolving today. 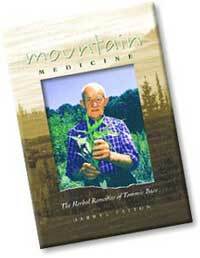 This book presents, often in his own words, the living legacy that Tommie left us of plants and their healing powers.